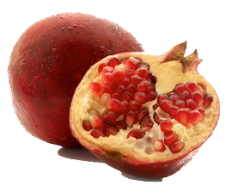 The sweet-tart flavor of pomegranate is a perfect accompaniment to a wide range of foods. Use in salads, as a marinade and to glaze lamb, beef and duck. Great for grilling, dipping, adding to olive oil, cranberry sauce, gravy and stuffing. Drizzle over vegetables before roasting, or use as a salad dressing. Match it with Lemon EVOO.